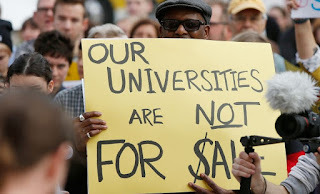 About 500 protestors marched into the Board of Regents meeting on the University of Iowa campus Wednesday, holding signs and demanding that each member be dismissed, along with the president they hired to lead the institution – J. Bruce Harreld. “Hey hey, ho ho, the Board of Regents has got to go,” the crowd chanted after initially filing silently into the meeting in the Iowa Memorial Union. After surrounding the board, UI student representatives told the nine regents their demands and handed over the group’s petition, which has amassed more than 1,000 signatures. “Bruce Harreld is not fit to run the University of Iowa and should be immediately dismissed from the presidency,” according to the petition, which also requests a new “more democratic method” of electing a president that takes into account faculty, student, and community member opinions. After the students spoke, the crowd erupted in loud applause and then protesters began shouting, “resign, resign.” The board sat mostly quiet during the protest, although Board of Regents President Bruce Rastetter halted the board’s discussion about its system-wide efficiency review to acknowledge the protestors and accept their petition. After the meeting, Rastetter told reporters he has no plans to resign and doesn’t know of any other regents planning to step down. He also stressed that Harreld will start as the UI’s 21st president Nov. 2, and he believes the search process that landed Harreld was fair. Rastetter said he has received “tons of positive reactions” to Harreld’s meetings with UI constituents. “The board is moving forward,” he said. After the protest, its organizer UI student Brad Pector, 21, said he feels the rally served its purpose. Pector said he’s hopeful the turnout will sway the board and to expect more protests and rallies if it doesn’t. “We’ll keep pressing the Iowa Board of Regents if they choose to do nothing,” he said. Concerned with the selection of a new University of Iowa president, a newly organized group is planning a protest before Wednesday's meeting of the Iowa Board of Regents in Iowa City. 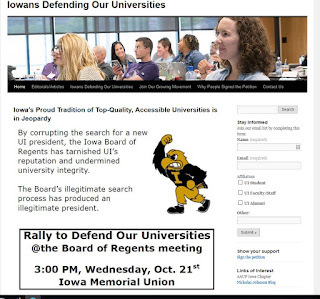 Iowans Defending Our Universities is calling for a "Rally to Defend Our Universities" at 3 p.m. Wednesday outside the Iowa Memorial Union on the UI campus. The Board of Regents — which oversees Iowa's three public universities — is scheduled to begin its meeting at 3:30 p.m. Wednesday at the IMU's Main Lounge. Speakers at the event will include a mix of students, faculty and community members, said Brad Pector, a senior art major at UI who helping to organize the protest. After the speeches, the protesters plan to peacefully enter the meeting for the open session. LINCOLN, Neb. — Faculty members unhappy with the Iowa Board of Regents' choice for president of the University of Iowa have gotten support from teachers in neighboring Nebraska. Last month the board selected former IBM executive Bruce Harreld to replace retired UI President Sally Mason. 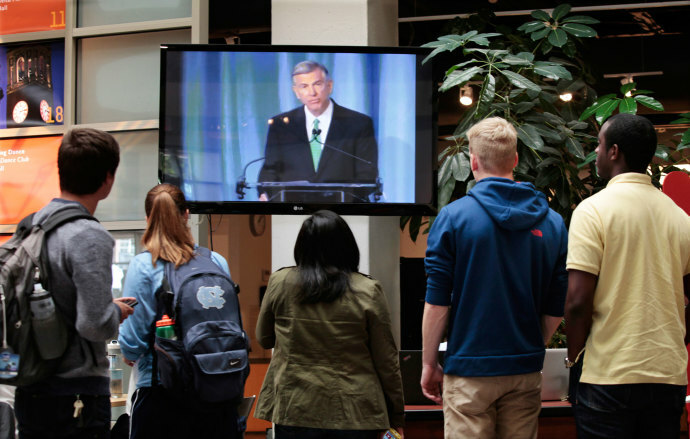 The choice of Harreld has drawn criticism from students, faculty and other staffers who say Harreld is unqualified and benefited from special treatment during the selection process. The UI Faculty Senate has issued a vote of no confidence in the regents' leadership. The Lincoln Journal Star reports that the University of Nebraska-Lincoln Faculty Senate last week approved a resolution of support for its Iowa counterpart, calling on the Iowa Board of Regents "to adhere to the principles of shared university governance and to ethical behavior and transparency." 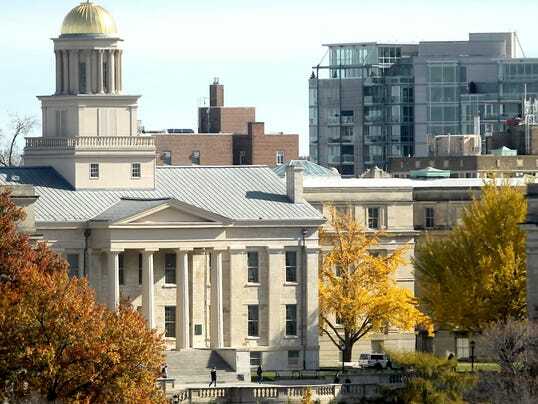 The University of Iowa faculty senate’s vote of no confidence in its Board of Regents is gaining Big Ten support, and the Senate Executive Committee wants to join in. The committee unanimously agreed Monday to send a resolution to the Academic Senate stating that the senate should support a vote of no confidence in the University of Iowa’s faculty senate. The faculty search committee’s discontent with Harreld stemmed from his lack of academic administrative experience. Harreld previously worked at IBM for 13 years and taught at Harvard Business School for six years and Northwestern University for one year. We are now beginning to see the effects of the recently passed budget bill in Wisconsin that eliminated the protections of tenure and shared governance from state statute for the University of Wisconsin. The bill specifically called for deleting a provision in law “specifying that the faculty of each institution be vested with responsibility for the immediate governance of such institution.” Despite claims by Chancellor Rebecca Blank at the University of Wisconsin-Madison that the budget bill would not change shared governance, the Chancellor just presented a proposal to the Board of Regents to waive the non-resident admissions cap for UW-Madison without consulting the Faculty Senate. 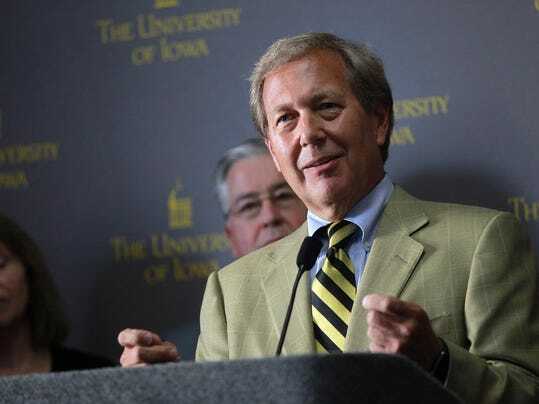 IOWA CITY — The American Association of University Professors is sending two representatives from its national headquarters in Washington D.C. to Iowa City to launch an inquiry into the search that landed J. Bruce Harreld as the next University of Iowa president. 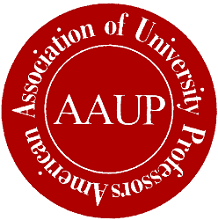 Although the AAUP is not a regulatory body, they can censure universities or governing bodies — harming their reputation nationally and potentially making it more difficult to recruit faculty and students. Kurland said an AAUP censure comes across as a national warning. In the Press-Citizen story of Sept. 26, "Regents defend early meeting with Harreld," Regent Katie Mulholland is quoted as saying, "In my role as a regent, we honor the shared governance of the faculty and staff. 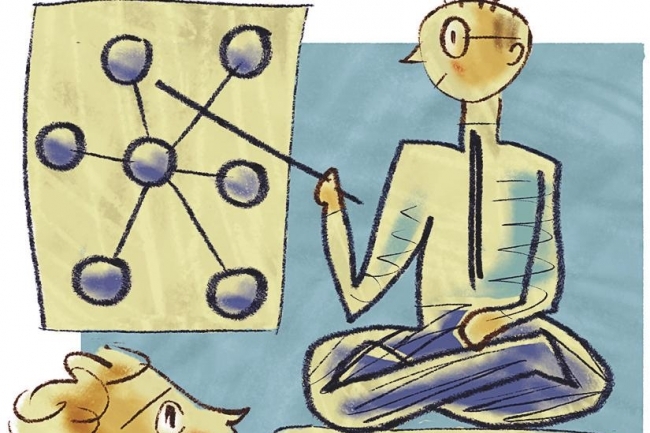 But shared governance is really different from shared decision-making." No. In fact, it is not. Shared governance is shared decision-making. Mulholland displays her ignorance of how the University of Iowa works. Or more nearly she is showing the meaning of the new normal she and her colleagues are pushing with Bruce Harreld's selection as president of the University of Iowa. Thanks to the Freedom of Information Act and the diligent reporting of many dedicated members of the press, it is now abundantly clear that the Iowa Board of Regents did not conduct a single search for a new president of the University of Iowa, but two searches: one for "show" and one for "go." The "show" search solicited nominations from people both inside and outside the university community. Those nominees submitted their credentials to Parker Executive Search, which authenticated the credentials, passed along the completed dossiers to the official search and screen committee, and contacted references. 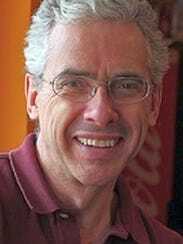 The "go" search was the sub rosa creation of Bruce Rastetter, President of the Board of Regents. He initiated personal contacts with a handpicked group of potential candidates. He arranged private on-campus and off-campus meetings for some of these potential candidates with members of the Board of Regents, including some who were serving on the official search committee, and three search committee members (the Interim President of The University of Iowa, the President of the Faculty Senate, and the Dean of the Tippie College of Business). He also arranged for one of the four finalists, Bruce Harreld, to receive a personal phone call from Gov. Terry Branstad. The "show" search treasured up three outstanding academic administrators with laudable records of leadership at prestigious colleges and universities. Each one gave excellent public statements carefully articulating their vision for the University of Iowa. Students, staff and faculty found all three of these candidates to be highly qualified. The "go" search yielded a corporately-retired and self-employed business strategist with no academic administrative experience. His public presentation was embarrassingly devoid of vision and revealed him to be entirely unfamiliar with the University of Iowa and with the academic culture of a public research university, despite having previously visited our campus. Students, staff and faculty uniformly deemed this candidate to be unqualified. The Regents nevertheless chose Harreld, leaving little doubt that the decision had been preordained. 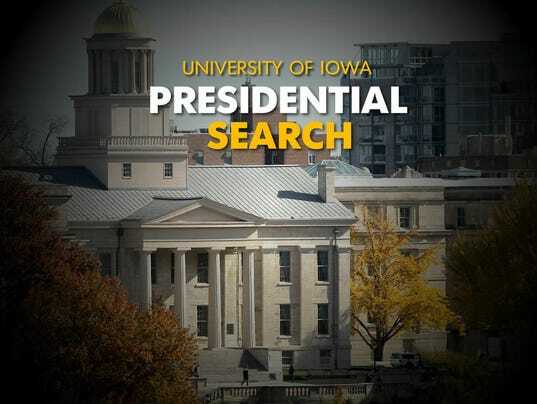 We said recently that the Iowa Regents did incoming University of Iowa President Bruce Harreld no favors during the search process. Now, there's another revelation, and if the Regents don't act quickly to clear the air surrounding Harreld's appointment, his entire tenure could be hampered. Total transparency is required. Instead, what the university community and the rest of Iowa is getting is one disclosure after another, with each giving the appearance that the Regents favored Harreld, a former IBM executive with no background in academic leadership. The latest news: Harreld met with Regents Katie Mulholland, Milt Dakovich, Mary Andringa and Larry McKibben on July 30 in Ames, a meeting arranged by Regents President Bruce Rastetter and held at Rastetter's office. It also occurred before the application process for the position closed the next day. Rastetter wasn't able to attend that meeting, but in a previous disclosure the Regents leader did have a meeting with Harreld on July 8 in Iowa City. That occurred when Harreld was invited to lecture at University of Iowa Hospitals and Clinics, an offer that wasn't afforded to the three other job finalists. Gov. Terry Branstad and Iowa State University President Steven Leath also talked to or met with Harreld during that period. 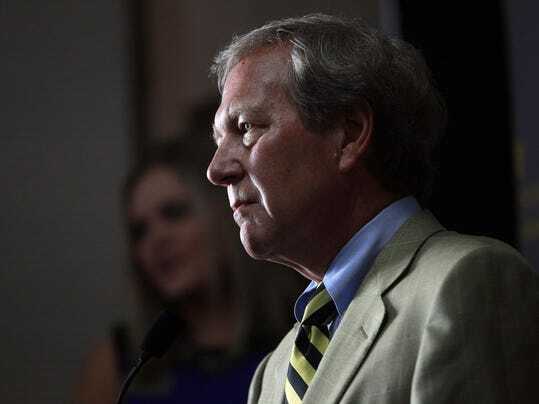 In hiring Bruce Harreld as president of the University of Iowa, the governor and the Board of Regents have told us they think the university is not on the right track. But they haven’t told us what track they want. We do know they don’t believe in the tradition of the university or in the freedoms of shared governance. The problem is, it’s impossible to build a great university without these elements. Thanks to the opportunities given to me as an in-state alum of the University of Iowa, I have gone on to be a professor at the University of Southern California, a historian, writer and journalist on the topics of politics, education and finance. I received diplomas in France and England, and have worked at universities such as Princeton and Rutgers. Part of my job at USC is to help improve the university’s standing through both academic and administrative work. And my experience tells me that the Harreld choice is a mistake that has damaged the UI’s reputation and brand. Not only do I see conflicts of interest and possible legal issues with Harreld’s appointment; I was startled that no one asked Harreld specific questions about what it means to “turn around” a university. Because there is one thing I have learned during my academic career: You don’t turn serious universities around. You build on their traditions. Funny thing about the letters and op-eds published recently around the state applauding the Board of Regents’ appointment of business “turnaround specialist” Bruce Harreld as University of Iowa president. They all denounce the UI faculty’s vote of no confidence in the Board of Regents over the rigged search as an act of pampered faculty wedded to an unacceptable “status quo.” But in every single case, these missives omit the fact that the UI student government and graduate union also passed votes of no confidence in the Regents, and that the UI Staff Council voiced strong “disappointment” in the search process. 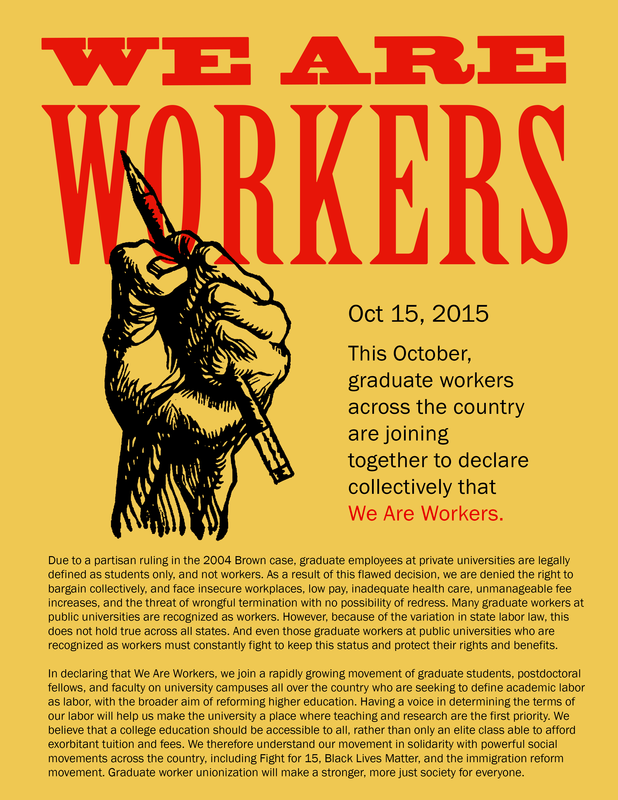 Faculty are not the only ones upset. This is not mainly about them. It is about defending public higher education in this state, which students, staff, and, indeed all Iowans, have as much at stake in as faculty. We will not be so easily divided and conquered. Several members of the Iowa Board of Regents say their July meetings with former IBM executive Bruce Harreld in no way prejudiced their consideration of the other finalists for the University of Iowa presidency. Regent Larry McKibben, who has overseen the regents’ process, said Friday that he did more talking than Harreld did during their meeting July 30 in Ames. McKibben was one of four regents, including two who served on the UI Presidential Search and Screen Committee, who met with Harreld that day. Although Regents President Bruce Rastetter did not attend the July 30 meetings with the other regents, he arranged them through the Ames office of his company, Summit Agricultural Group. In a written statement released Thursday, Rastetter said Harreld was one of six candidates he actively recruited into the applicant pool. McKibben said he spoke with Harreld for about 20 or 25 minutes, sharing that time with Regent Mary Andringa, who chairs the regents' committee on UI Hospitals and Clinics. The conversation mainly involved Harreld asking questions that McKibben and Andringa answered in detail. Dumb to hire Harreld as consultant; great as president? Brian Campbell’s obsequious paean to the private sector (“Harreld not qualified to lead; qualified to change,” Sept. 14) is as laughable as it is incorrect. Campbell lauds incoming University of Iowa President Bruce Harreld as an example of the modern super-hero businessman, who having been forged and tested in the “real world” of corporate America, knows rewards are performance based, bad decisions lead to immediate firing and problems are solved by taking action rather than thinking about things. Totally lost on Campbell is the fact that it was corporate America that invented and perfected the golden parachute, whereby executives who run their companies into ruin leave with a multi-million dollar severance package that makes former President Sally Mason’s pension look like pocket change. The Board of Regents and the governor have made a mockery of what should have been an open and fair process of selecting the next UI president. By appointing Bruce Harreld they have chosen a person unqualified to have been among the finalists in the first place. In so doing they have embarrassed the university and insulted those involved in the selection process, including the other very distinguished and highly qualified candidates, the search committee and the members of the university community who in good faith participated in the open forums and meetings with the candidates. The other finalists came to campus in the full expectation that they would be given fair consideration. They prepared well, and each evidenced the leadership qualities that suggested the benefit substantial experience in high-level university administration would bring to the university. Ultimately, the citizens of the state of Iowa, who take legitimate pride in their state university, will bear the burden of this flawed and misguided search. A University of Iowa professor emeritus has filed a lawsuit against the UI presidential search committee, accusing it of violating open meeting laws and asking the court to void its actions. The lawsuit, filed Aug. 14 in Johnson County District Court, is the second filed by UI dentistry professor emeritus Harold Hammond in connection with a UI presidential search. 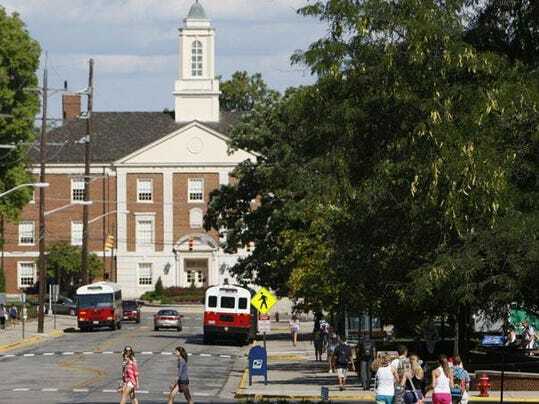 Hammond in 2007 filed a similar lawsuit against the Board of Regents, the presidential search committee and others that resulted in a settlement costing the defendants nearly $66,000. According to Hammond’s recent lawsuit, the UI’s 21-member presidential search and screen committee violated Iowa law by holding both public and closed meetings at 7:30 a.m., Aug. 11, and 7:15 a.m., Aug. 12, in Rosemont, Ill. Those meetings constituted violations by being “at a location outside the state of Iowa and otherwise at times and locations not reasonably accessible or convenient to the public,” according to the lawsuit. So far, Bruce Harreld, the newly named president of the University of Iowa, has made one decision that faculty members have applauded. Harreld, whose selection was opposed by faculty leaders and many other academics, said he would not seek the position as tenured professor that the Iowa Board of Regents offered as a possibility. Harreld's contract said that "subject to the recommendation of the faculty," he would be granted tenure as a professor in Iowa's College of Business, and that this position would be available to him when he left the presidency, at a salary equal to the highest-paid tenured business professor at the university. Such contract provisions are common for college and university presidents. But it's also common that many presidents earned tenure at some point in an academic career that turned into an administrative career. But what about candidates like Harreld, who was named president despite never having held a full-time position in academe or demonstrating much knowledge of how colleges and universities work? 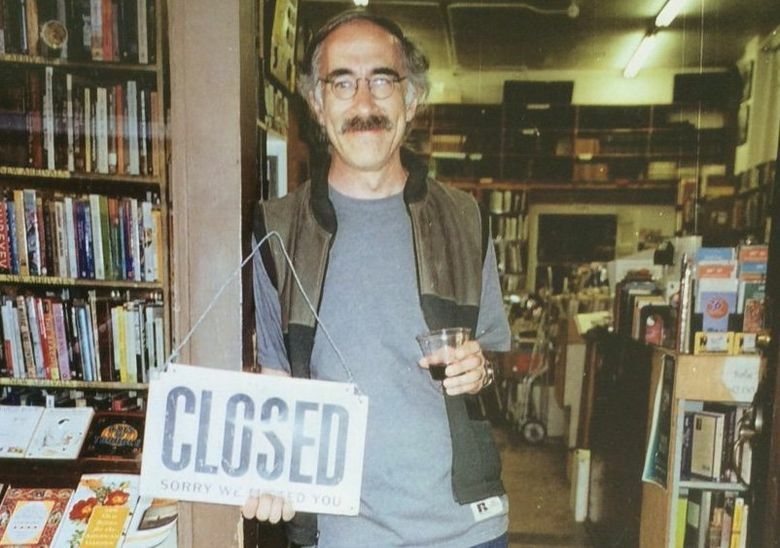 (Board members said they liked his extensive business experience.) Should these nontraditional presidents receive the same tenure offers as part of their contracts when they never earned tenure? As the Yes Men performed at the press conference, the Iowa Board of Regents was in the final stages of selecting the next UI president. In a very unusual arrangement, the regents chose not to renew previous president Sally Mason’s contract two years ago; since then, she had been working “at will” on a day-to-day basis. If some observers worried that this arrangement would render her a tool of the regents, those fears were confirmed when Mason endorsed an ill-conceived regents funding plan that would significantly cut UI’s budget, infuriating many on campus. Now, Mason is out: Eight days after the Yes Men’s visit, the Iowa Board of Regents unanimously voted former IBM and Boston Market executive Bruce Harreld as UI’s next president, despite Harreld having no university administrative background. He did work as an adjunct senior lecturer at Harvard Business School, but that’s the extent of his college workplace experience. On the résumé Harreld submitted to the regents, he listed his current job as the managing principal for the Colorado-based Executing Strategy, LLC. This company “confidentially (advises) several public, private and military organizations on leadership, organic growth and strategic renewal.” However, that business doesn’t exist. 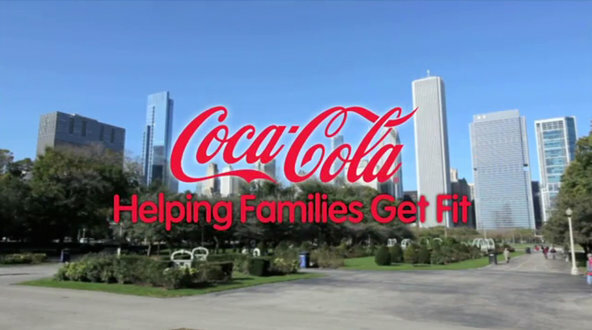 The Colorado secretary of state has no record of a company of that name. On Sept. 1, during a public forum that was part of Harreld’s on-campus interview and visit, I asked Harreld to explain this discrepancy. He replied that Executing Strategy was a company name he previously used and that he accidentally listed it in his current work history. 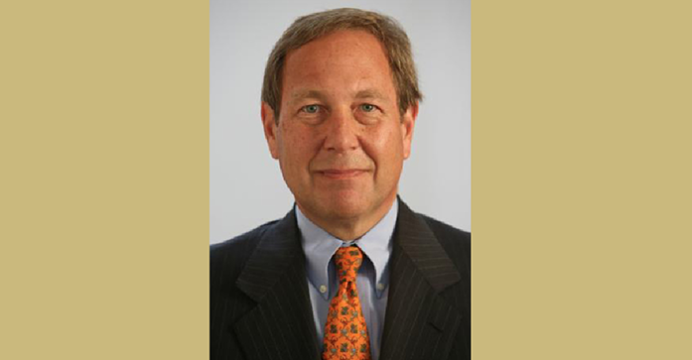 Bruce Harreld, the newly appointed president of the University of Iowa, is eligible for a tenured faculty position in the UI Tippie College of Business, according to contract details released Friday by the Iowa Board of Regents. But UI officials said Friday he has no plans to seek tenure. Harreld, whose experience is in corporate leadership and not university administration, said in a public forum Tuesday he would not demand a tenure position as a condition of his employment. No such tenure provisions were included in the initial contracts for Iowa State University President Steven Leath or University of Northern Iowa President William Ruud, although such status was granted to Leath later. According to board documents made public Tuesday, the Regents asked for a 4.5 increase in general fund appropriations for ISU — or $8.2 million — and an 8.1 percent increase for UNI — or $7.7 million. The board will consider approving its 2017 budget requests totaling $656.8 million in operating appropriations at its next meeting Sept. 9. That total includes $230.9 million in general fund appropriations for UI, $190.4 million in general appropriations for ISU, and $101.9 million for UNI.